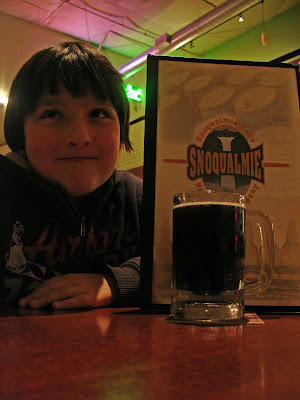 Right now, I am going to review the Snoqualmie falls root beer. The first thing I will tell you is, well, I actually liked this less then I did with Henry Weinhard's. Anyway, let me tell you about my opinion. I didn't really like the taste, Personally, I think it tasted far too sour. Also, the place it was at was a mess. It was messy, chaotic, and the food was terrible along with the root beer, Overall, I NEVER EVER EVER want to go there again.